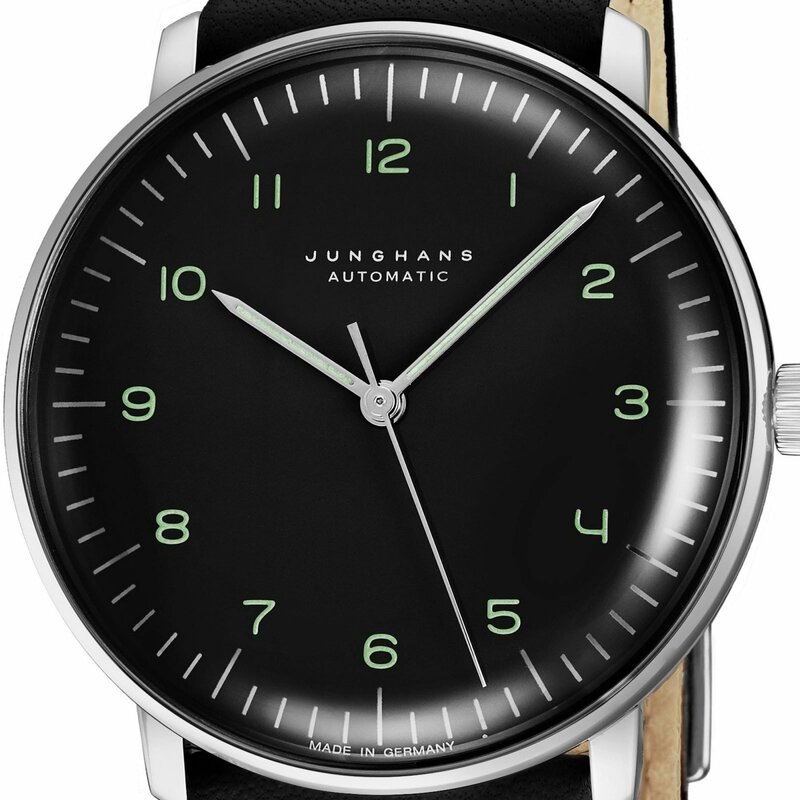 Sleek minimalism in a premium timepiece, the Junghans Max Bill Automatic watch is as versatile as it is refined. The watch honors the legacy of designer, painter, sculptor, and architect Max Bill. 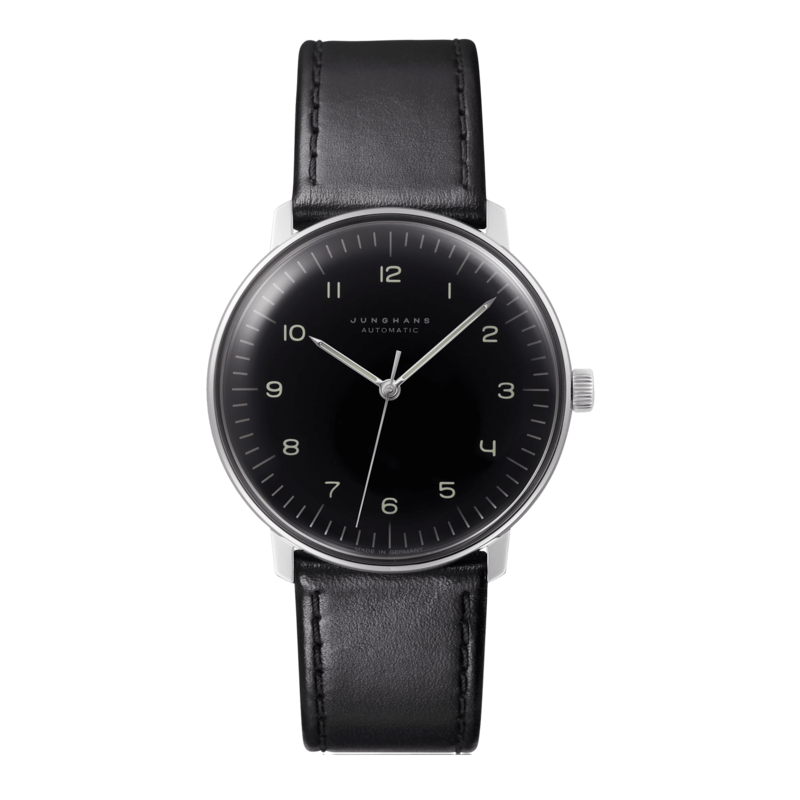 Blending purity of form with intensity, the timepiece features a clean dial with a bold black color. Simple markers and thin hands boast a silver gray hue to ensure optimal clarity during the day, with luminous coating on the hands providing superior readability at night and in the dark. 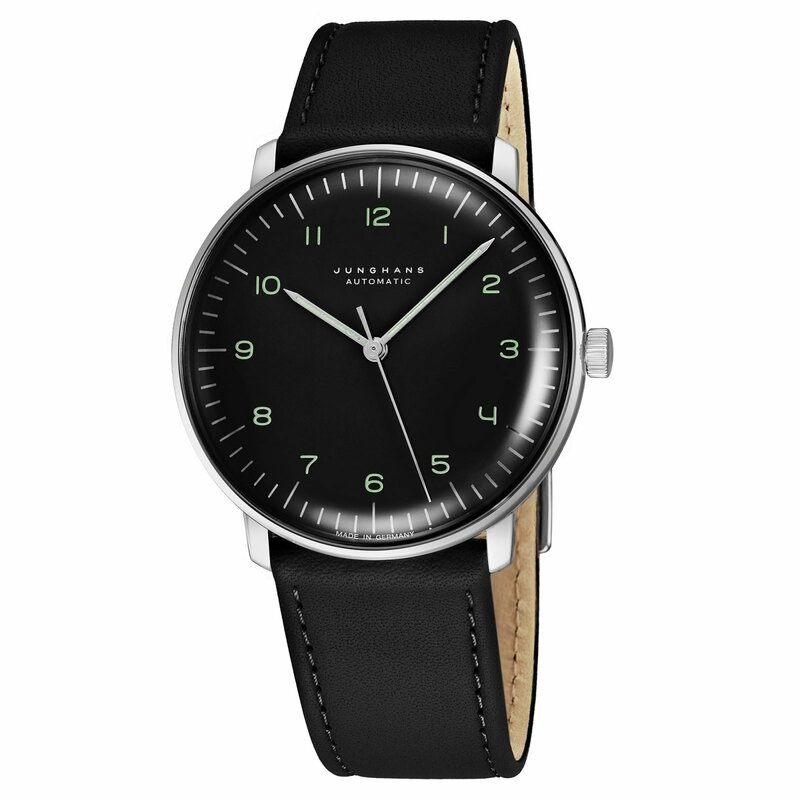 The stainless steel case comes with a curved plexiglass cover that boasts an anti-scratch treatment. 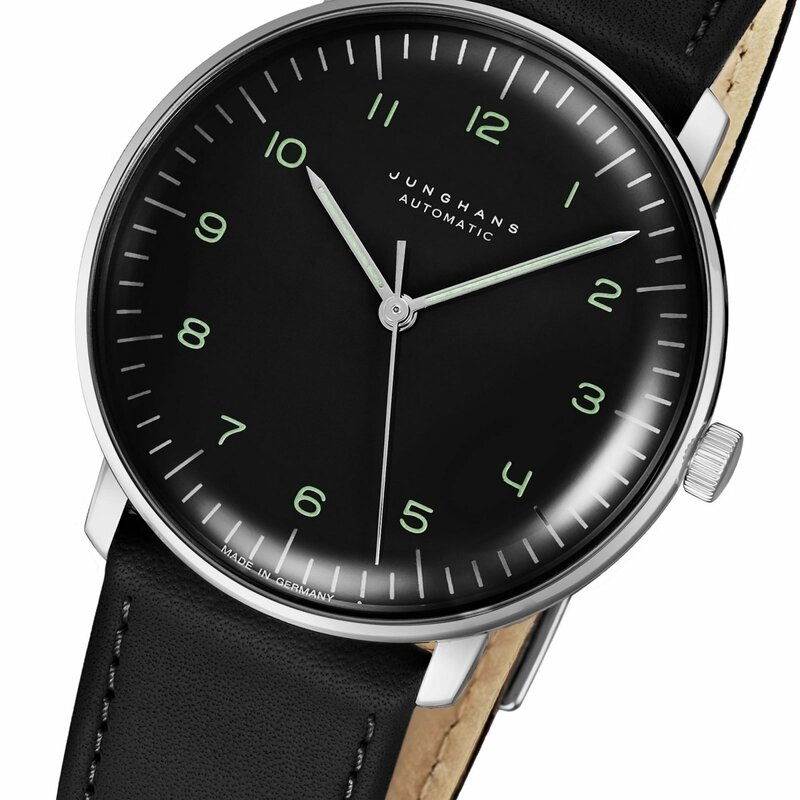 This black Junghans Max Bill Automatic watch features a self-winding J800.1 movement and a black leather strap.